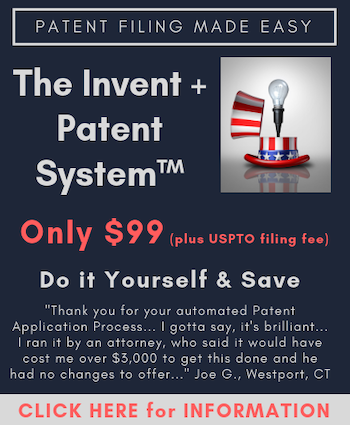 In order to become a patent attorney or patent agent it is necessary to take and pass the Patent Bar Examination. Only those individuals with scientific education are allowed to sit for the examination, and you do not need any legal training to take the exam. The easiest and more direct path to being able to demonstrate the qualifications necessary to sit for the exam is to have a bachelor’s degree in one the listed fields. If you have one of the degrees on the list you are said to qualify to sit for the exam under Category A and all you need to do is submit your application and transcript. If you do not have such a degree then you can still sit for the patent bar exam, but you need to demonstrate either enough credits of coursework (Category B) or generalized technical expertiese (Category C). The applicant must establish to the satisfaction of the OED Director that he or she possesses scientific and technical training equivalent to that received at an accredited U.S. college or university for one of the listed degrees. To establish such equivalence to the satisfaction of the OED Director, an applicant can satisfy one of the following four options, other training, or other education listed below. For those who do not qualify as a result of having a bachelor’s degree in one of the above disciplines, the most common way of demonstrating the technical sophistication required is to resort to what is called Category B. Under Category B an applicant can qualify to sit for the patent bar examination through fulfillment of one of four options (see below). 24 semester hours in physics. Only physics courses for physics majors will be accepted. 24 semester hours in biology, botany, microbiology, or molecular biology. The 8 semester hours in chemistry or 8 semester hours of physics must be obtained in two sequential semesters, each semester including a lab. Only courses for science or engineering majors will be accepted. All acceptable coursework must be for science or engineering majors. 30 semester hours in chemistry. Only chemistry courses for chemistry majors will be accepted. 32 semester hours of chemistry, physics, biology, botany, microbiology, molecular biology, or engineering. The 8 semester hours of chemistry or 8 semester hours of physics must be obtained in two sequential semesters, each semester including a lab. Only courses for science or engineering majors will be accepted. All acceptable coursework must be for science or engineering majors. Those who do not satisfy the bachelor’s degree requirement should consult the General Requirements Bulletin for a more detailed explanation of what courses may be counted. Additionally, there is a Category C that will allow individuals to petition to sit for the exam based on practical experience, but in my experience qualifying under this section is virtually impossible (i.e., I have personally NEVER seen anyone fulfill the requirements of Category C no matter how brilliant and technically sophisticated). I have had individuals report that they have qualified to sit for the exam without any technical experience whatsoever by passing the Fundamentals of Engineering Exam (FE exam) in Michigan, but I have not independently verified these claims. Apparently, as the story goes, Michigan allow anyone to take the FE exam and the USPTO recognizes the FE exam under Category C. Typically those who qualify to take the FE exam do not need to rely on Category C, but rather either qualify under Category A or B. I have to openly wonder whether those who have no technical background whatsoever and pursue the FE exam in Michigan are doing themselves a disservice. Employers almost universally hire due to technological skill and knowledge, so someone without any science background who has passed the FE exam will likely find it exceptionally difficult to find a job. To be sure, in fields such as biology or chemistry it can even be difficult to find a first job without an advanced degree, such as a Master’s degree of PhD. Regardless of the FE exam, what I do know is that there are those in the computer science field, with extraordinarily sophisticated job experience in highly technical fields, who cannot qualify under Category C. So it is my recommendation that Category C be pursued with eyes wide open regarding the relative likelihood that it will not succeed, and even if it is successful the substantial hurdles that one will face finding employment. If you do not qualify to sit for the patent bar but are close in the number of credits you can always just take a few more science courses. I have known many who have done this. The Patent Office does not seem to care where the course work is completed, as long as the courses are completed. For more information please follow the links below, and if you have a questions that is not answered please contact me and we will try and get an answer for you.